although I am using a super I went with a Falcon scope 4-14 w/ illuminated B20 Reticle, which was $399. The POSP scopes may get you where you want to be with the variable magnification, although I do believe all of those scopes are second focal plane so you will have to acquaint yourself with the differences in bullet drop on those magnifications. I might suggest finding some others at a range if possible and see how you like them. 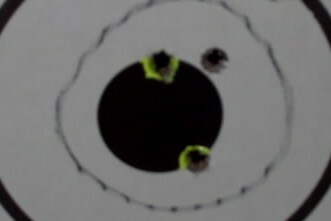 The objective issue arises because the rear sight leaf is right where the objective bell is, so you either have to go with higher rings or smaller objective, smaller objective means you will have a more narrow field of view and for closer shots at higher magnifications you will have a tough time finding and tracking the target, again, this information may not be correct with absolutely all scopes, as all scopes are different, but this comes from my personal experience. 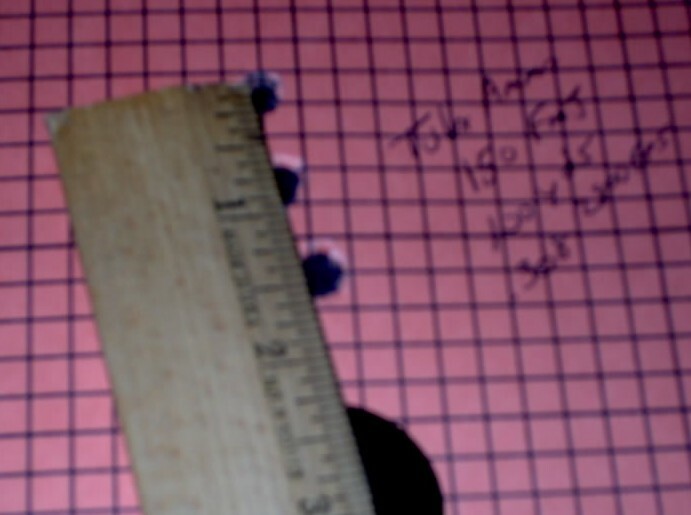 To remedy that issue, I want to get a scope in the first focal plane, so that for the nearer shots I can have the magnification lower and my reticle will be accurate at any magnification level. I have been looking at the falcon menace 4-12x44 , the one that dracozny has. the 4-14x44 is a bit large for an objective, the lens is 44mm but the actual bell is about 53mm so it can be a bit of a challenge to mount it. I like the Midwest Industries ak scope mount a lot, but on the 308 VEPR it lines up about 1/8" to the right of center. I've bought a lot of scope mounts for my VEPR and my Saigas, and the one one that lines up on center is the Leapers UTG mount. The quick detach version works fine. It is also relatively inexpensive. The nice thing about the AK system is that it is easy to zero multiple scopes with 1 rifle. Currently, I have a Leupold Hog Scope (1-4x) on one mount, and a Leupold 3-9x 40mm on a second mount. I personally am not certain If I would use my VEPR (27") for a 400 yard hunting rifle. 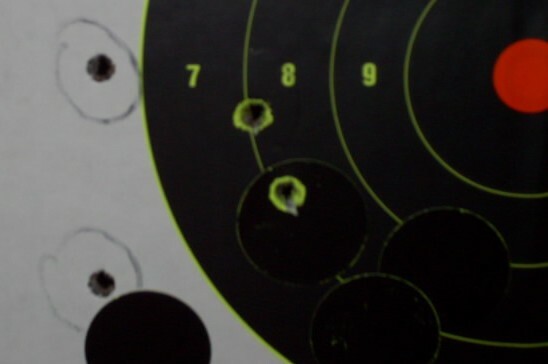 The best I have been able to shoot so far is 4" at 200 yards, or 2MOA. At best that would translate into 8" at 400 yards. However, that is with a hot barrel, which is supposed to negatively affect accuracy. My second problem is that I always seem to get a first roung flyer. For the purposes of a humane kill on game, I would MUCH prefer to be inside of 300 yards, and 200 yards would make me happier. first round flier is typical if your the OCD type when it comes to gun cleaning. just a thought since I have no idea what your maintenance regiment is. So far, about 750 rounds and no cleaning what so ever. And that first round flyer is annoyingly obvious too. Two things spring to mind, one is the shooter the other is the temps of the barrel. not trying to say anything about how you shoot, however some have a habit of having a slight flinch on the first shot. mental preparations, over anticipation of recoil and what not. the other which I have seen claimed by various individuals over at sniper hide regarding this subject have always made claim that the barrel just needed to warm up slightly with that first round and all was well afterwards. generally they get told its more likely the shooter. 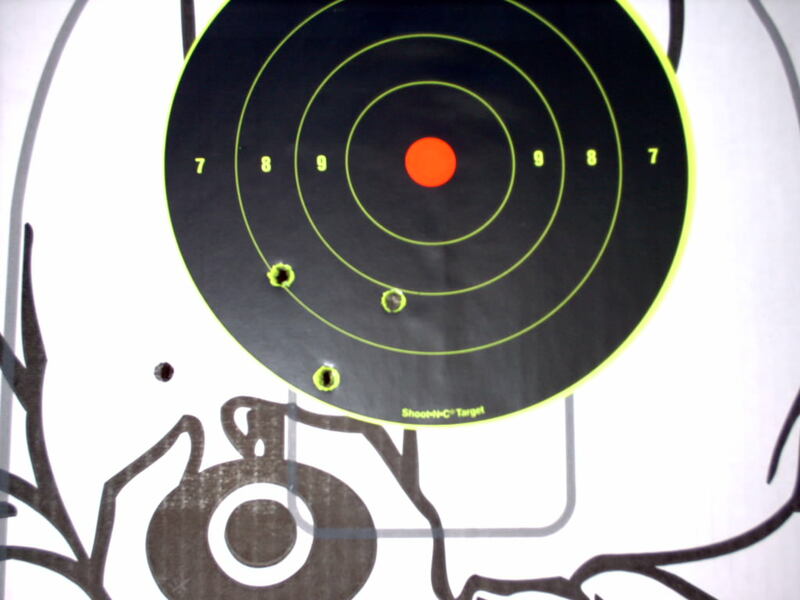 the suggestion most often given is practice shooting dry and pay close attention to how you pull the first time, sometimes that helps get you in that zone of preparedness for the actual shooting. by the way many marines use this method before going on deployments. I consider myself a good shooter, but not a great shooter, so I'm happy with 2 MOA. The first round flyer goes for the first round hand cycled into the chamber, and seems to not matter how hot or cold the barrel is. My comment on temp earlier was in reference to general precision. I am a casual shooter who likes to shoot well, not a competition shooter or professional, so my tacticool range toy just has to make me happy. It doesn't have to perform like a thuroughbred. That said, I'd like to get rid of the flyers. When you say first round hand cycled, do you mean you pull back and hold the charging handle as you move the bolt into battery slowly or do you pull back and let the rifle strip the round out of the magazine and slam home into the chamber? I have heard that if you hold the charging handle and so to speak do it yourself, the round doesnt seat like the ones that follow during normal cycling, best way is to pull back and let go. Pull back and let the spring push the bolt forward. I never "ride the bolt" on a semi auto. When I had my Saiga 308 I ended up with a Nikon ProStaff 4-12x40 with Mil-Dot in the end.. worked well for me.. this was on a UTG 978 mount.. granted the BP-02 would look better. Heres some 100 and 200 yards target pictures from 8/10 & 8/11/10 (when I had a a simple Bushnell Trophy XLT 3-9 w/BDC mounted before switching to the Nikon 4-12x40 with Mil-Dot)..
We (me and csspecs) had accertained back then that the S308 will always get a flyer because of mag feed issues.. 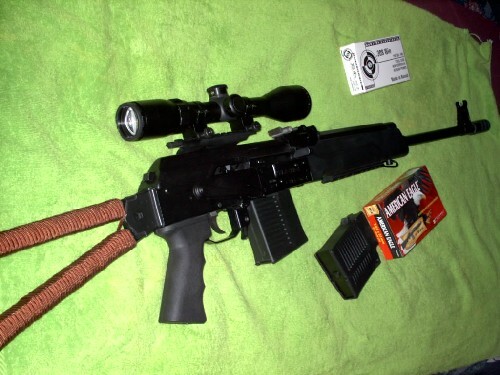 Regarding upgrading to the super vepr 308, its an awesome gun, I have one and I love it. Barrel is super thick, has flutes, don't know if they actualy help but it has them. It has a really nice stock, my only grip is that I paid so much for mine that I am scared to touch it and modify anything, also, nobody really makes any parts for them. the main point of fluting is to cut down on weight. spiral fluting saves more weight compared to straight fluting. structurally it has no bearing whatsoever unless its done to deep. At 3 to 400 I'd recommend a bolt action. Semi-autos get more expensive when you're trying to extend range with accuracy and not to mention, un-holy heavy too. You might as well buy a good bolt action. I'd recommend any bolt action based on a Mauser action, that includes rifles like the Rem 700. You'll want mid grade price range or higher, the crap like the Rem 770 and the Savage Axis is a jam-o-matic I hear and nobody wants that to deal with. But if you wanna have some fun at closer ranges, even if you are hunting? Semi-autos won't let you down. It's a tool man, you don't grab a screw driver when you need a impact wrench. But seriously, precision shooting is a LOT more than what it seems. It's all the same too. How do you get to Carnegie Hall? Practice. I own 3 different Kalinka mounts and I haven't been happy with either one. The build quality is sloppy, and one of them isn't even parallel with the barrel. Yes the Leapers is cheap, but the build quality is good, and it locks in solid. Buy yourself a little piece of mind, and get the Leapers early on. You might end up buying others later on, but you'll go back to the Leapers UTG.